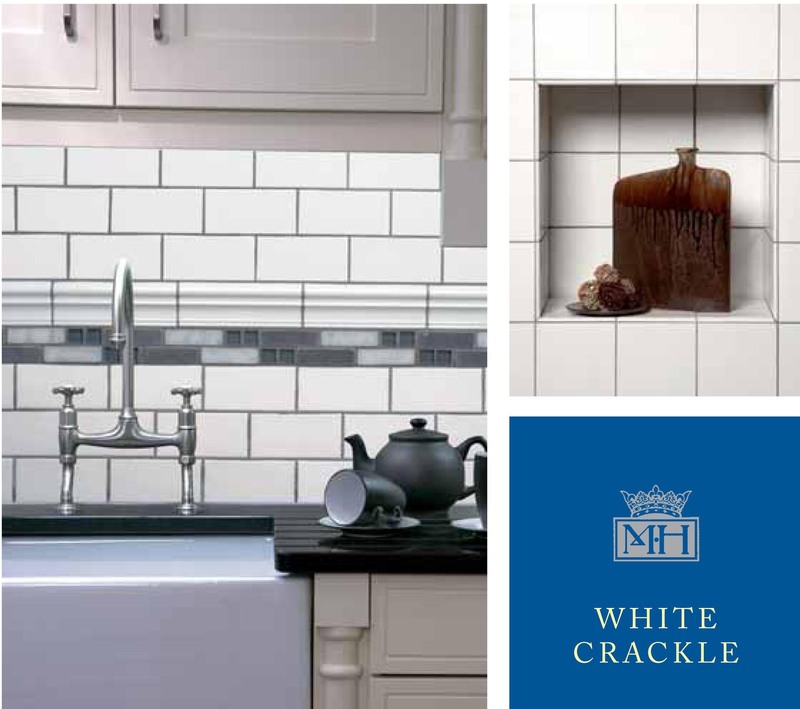 “Subway tile” typically refers to small rectangular format tiles that were installed in subway stations around the world in the late 19th and early 20th centuries, Notably the London Underground and New York Subway systems. A common theme in the design of both systems was the extensive use of ceramics used as both function and art. Click here to learn more about the splendour of the original London Underground tile designs. 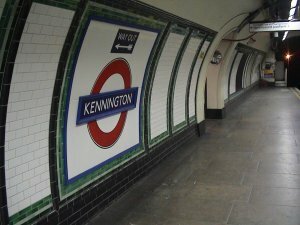 Thankfully, Johnson have become involved again in a restoration projects in partnership with the London Underground system. A high profile example of Johnson's approach can be seen with its involvement at the extensive refurbishment project at Oxford Circus, one of the busiest tube stations in the London Underground network. Focusing on sustainability and the benefits of recycling, the refurbishment has seen the original tiles made by Johnson over twenty-five years ago carefully removed and sent back to the same leading tile manufacturer's factory in Stoke-on-Trent to be recycled back into the new tile body. Over 15,000 square meters of original tiling has been removed from several platforms and interconnecting corridors at the tube station, which handles up to 55,000 people per hour in peak periods and sent to H & R Johnson to be recycled back into the new tiles. 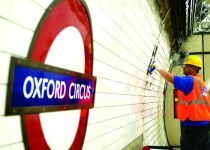 Designed by Atkins Design on behalf of Metronet Rail BCV and London Underground, the new look Oxford Circus will utilise over 15,000 square meters of exclusive ceramics designed to London Underground's own specifications in Gloss White and Black, creating a modern yet durable environment. In addition to the traditional 75x150mm (3x6”) size, Johnson offer rectangular tiles in 200x100mm (4x8”), 100x300mm (4x12”) and 6x16" sizes. The 200x100mm size comes complete with a wide range of associated molded pieces and trims. Gloss white and biscuit; Matte white, cream , blue , grey and rose are stocked in the USA. 64 colors in total are available for large projects on a to-order basis. To view the entire Satin Finish/Matte catalog, click here. 100x300mm (4x12”) is availabe stocked in gloss white. The same product is marketed in the USA as a part of the Minton Hollins and Studio Minton series. Traditional white, bone and biscuit colorways and crackled white and cream colors for an aged look.